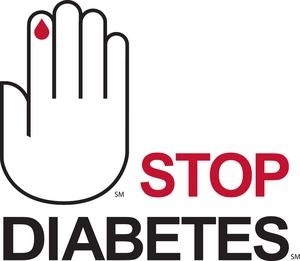 Did you know that nearly 26 million children and adults in the U.S. have diabetes, and another 79 million Americans have pre-diabetes and are at risk for developing Type 2 diabetes, according to the American Diabetes Association (ADA), a Research!America member? During the month of November, the ADA, along with other organizations, will raise awareness and understanding about this increasingly prevalent disease and ways to prevent it. This year’s theme is “A Day in the Life of Diabetes,” because diabetes doesn’t stop; it’s 24/7, 365 days a year. Visit ADA’s website, Twitter, and Facebook page to learn more about ways you can participate. Researchers are making progress in identifying the genetics and “triggers” that predispose some individuals to develop Type 1 diabetes, but more research is needed to combat the disease. Tell Congress that we need more #curesnotcuts to help improve diabetes prevention and treatment. Speak up now! It’s Breast Cancer Awareness Month! Although many great strides in new treatments and therapies for breast cancer have been made, patients and their families are still waiting desperately for a cure. According to the American Cancer Society, breast cancer is the most common cancer among American women, except for skin cancers. About 1 in 8 women in the U.S. will develop invasive breast cancer during their lifetime. This month, organizations will raise awareness and funding for breast cancer, and it’s important that we continue advocating to policy makers, media and the public about the importance of funding research at the level of scientific opportunity. Throughout October, please visit Research!America members American Cancer Society and American Association for Cancer Research to learn more about preventative care, new research and ways you can help make a difference in the fight against cancer. Now is the time to tell Congress that we need #curesnotcuts; we need access to quality breast cancer screenings, diagnostic services and treatment, and care for all women. Speak up for breast cancer research! The 50th anniversary of the March on Washington and the clarion call for equality for all Americans brings to mind the work still to be done to address health disparities. For example, cancer incidence and death rates are significantly higher for African-Americans than for all other ethnic groups, and Hispanic and African-American adults are 1.5 to 2 times more likely to have diabetes than white adults. Our polling shows that nearly 75% of Americans believe it is imperative to conduct research to understand and combat health disparities. As a community of advocates, we need to press policy makers to keep this unacceptable gap in health care and health outcomes in their sights. America can do better. 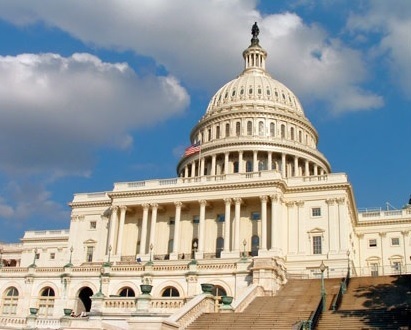 A Weekly Advocacy Message from Mary Woolley: Is a do-nothing Congress a public health threat? Last week, I wrote about the international trade deficit our country faces. This week, I’d like to focus on the budget deficit. From 2003 to 2011, Medicare and Medicaid spending grew 74% while our economy only grew 35%. With that kind of differential, no government can balance its budget. We need research to address disabling and costly illnesses, but that won’t be enough in and of itself to bridge the gap. We also need tax and entitlement reform that preserves needed services, squeezes out waste and inefficiency (by the way, that’s why we must also fight to protect health economics research, health services research and other research that optimizes health care financing and delivery) and promotes pro-innovation tax changes that are designed to sustain a prosperous nation. The Bureau of Economic Analysis has reclassified research and development costs from an “expense” to an “investment” when calculating GDP. We think Members of Congress should do the same. Common sense tells us R&D is an investment, not an expense; in general conversation we all talk about R&D as an investment, but it isn’t accounted for that way on the federal books. The arguments we’ve been making are now further bolstered by the BEA’s decision. Spread the word! One hundred and sixty five university presidents and chancellors, representing all 50 states, have called on the president and Congress to reverse the pending “innovation deficit” in an open letter published last week in Politico before the August recess. With more than half of the economic growth in the U.S. since WWII attributable to innovation — largely due to the nation’s commitment to higher education and federally supported research — our society and our economy are at risk if we continue on today’s trajectory. The August congressional recess is here! Members of Congress are back home for the month long break. Now’s the time to speak up and urge policy makers to make research for health a higher national priority before they return to Capitol Hill and make decisions that will affect the health and prosperity of our nation. Join Research!America’s social media congressional recess campaign, Medical Research is at Risk. We Need Cures, Not Cuts! Customize your messages with statistics, patient/researcher stories, examples of innovative research, and descriptions of the impact of sequestration to help make research part of the national conversation on social media and beyond. Follow us on Twitter @ResearchAmerica and use the hashtag #curesnotcuts. We will also be posting updates on our Facebook page and we encourage you to engage your representatives on social media channels as well.
.@RepJohnDoe, sequestration=fewer doses of vaccines for the flu, measles, whooping cough & hepatitis. We need #curesnotcuts! Sequestration’s arbitrary, across-the-board budget cuts to defense and non-defense spending have ravaged (and will continue to ravage) our research enterprise. Sequestration and the inability of Congress to pass a budget will dramatically reduce funding for medical research and critical public health functions for years to come. Funding cuts are stopping highly promising research in its tracks, squandering exciting new potential for treatments and cures for millions of Americans who are waiting for them. We can’t let this continue. Deficit reduction is important, but there are ways to achieve it that do not compromise American lives and American competitiveness. Arbitrary budget cuts that abandon medical research are wrong. Tell Congress: WE NEED CURES, NOT CUTS! This week the Senate Appropriations Committee voted to increase NIH funding by $307 million in FY14, an increase largely due to the unwavering support of Labor-HHS subcommittee Chair Tom Harkin and Appropriations Committee Chair Barbara Mikulski. The Senate bill also increases funding for the CDC by $1.6 billion over FY13. It is important to note that the Senate bill does not include sequestration reductions, but Mikulski has vowed to fight these dangerous, continued cuts. (See my brief statement on this week’s Senate action.) We all realize that these proposed funding levels are not adequate to capitalize on the current opportunity in science and respond robustly to the needs of patients and their families, but they are significantly better than what the House has in store. The overall funding level in the House Labor-HHS bill, which includes NIH, CDC and AHRQ, is 26% less than the Senate’s proposal, leaving the outcome of any kind of budget deal bleak indeed. “Compromise” between the two houses would be significantly worse than a continuing resolution, and sequestration is still in place. In short, the welcome action of the Senate is not likely to become the law of the land. We have work to do! Congress can be an insular place, as evidenced by cuts policy makers are weighing for research and other basic government functions. Outside Congress, the implications of underfunding are all too real. Take the story of Navy veteran and cancer patient Bryan Fazio, who exemplifies American values and whose story is a testament to the importance of continued research. We may lose this amazing young man, but with continued research we can save others struggling with this disease. Please join me in contacting Members of Congress and urging them to support robust funding for health and research during the FY14 appropriations process and beyond. Lawmakers across the pond recognize the importance of investing in research. British Chancellor George Osborne announced a capital investment commitment of £1.1 billion ($1.661 billion) a year in the science budget through the end of the decade, influenced by the strong case made by the U.K. National Academies for the economic benefits of research (see report). The U.K., under a conservative government and with an austerity budget, has made a national commitment to science and research. They are not alone. Australia’s federal government recently announced a $13.5 million ($12.42 million U.S.) investment in research to improve primary care, including a research partnership with Canada. Other nations are following suit and ramping up research; isn’t it ironic that the U.S. wrote the playbook but now appears to be ceding global leadership? I don’t think it is a choice the American people are making. Based on our polling data and a number of recent radio interviews around the nation, I have come to the conclusion that Americans are taking for granted that policy makers are giving research a high priority, and since policy makers are not hearing from their constituents, they are not thinking twice about cutting research as part of deficit reduction. People are surprised to find out that research isn’t the priority it once was; surprised to learn about cuts that have already occurred; and openly shocked to hear about further cuts being proposed. I implore you to join me in setting the record straight and connecting the dots for people you know who might be taking research funding for granted. We must inform Americans and then translate the shock of understanding into advocacy. We have been urging more Americans to speak out via Twitter using the hashtag #curesnotcuts. Please join in. As July 4th approaches, we have another opportunity to contact elected officials via social media during the Congressional recess (July 1 – 5) to drive home the message that medical innovation should be protected from further cuts. Each day we will highlight a specific theme that can be customized with your statistics and patient/researcher stories. For example, on Wednesday we’ll focus on the drug discovery pipeline because basic research fuels private sector innovation which translates into new diagnostics, devices and products to improve the health of all Americans. Setting our nation’s sights high, rather than watching Rome burn; that’s the advice embedded in a recent op-ed authored by John R. Seffrin, PhD (CEO of the American Cancer Society and Research!America Board Member) and Michael Caligiuri, MD (CEO of the Ohio State University Comprehensive Cancer Center – James Cancer Center Hospital and Solove Research Institute). The authors advocate establishing a national plan, one that puts political differences aside and focuses on combating deadly and tremendously costly disease. As the Memorial Day Congressional recess ends, we wrap up our week of social media engagement with a strong message to our representatives: go back to Washington, DC and give us cures, not cuts! Medical and health research has already improved the quality of life for so many Americans. Thanks to cancer research we have better treatments for melanoma and cardiovascular research has yielded drugs and devices that have saved lives across the U.S.